High Buston Hall is a Grade II listed Georgian villa set on a rocky promontory overlooking the Northumberland Heritage Coast. It was built in about 1784 on the site of an earlier dwelling. 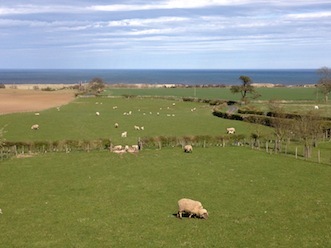 High Buston is a quiet farming hamlet which lies between Warkworth and Alnmouth, just off the A1068. The views to the south and the east are dominated by big skies and the sea. Old Hall Cottage is located in the West wing of High Buston Hall. 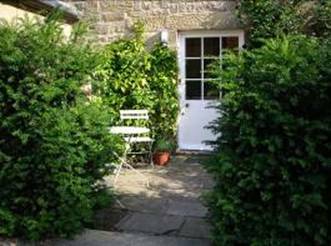 Access to the cottage is from the rear courtyard of the Hall via a private lane. The entrance to the cottage is beside the old well which served the Hall. This is the oldest part of the building and pre-dates the 1784 building. There is a small York stone paved area outside the entrance door with a table and chairs. Your vehicles can be parked outside the cottage in the rear courtyard. 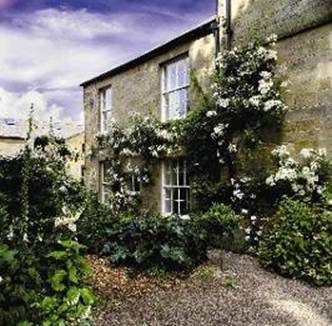 We have restored the old servants quarters to a high standard with beautiful soft furnishings, Mulberry fabrics, Fired Earth terracotta floor tiles on the ground floor and antique furniture to provide an excellent self-catering cottage. 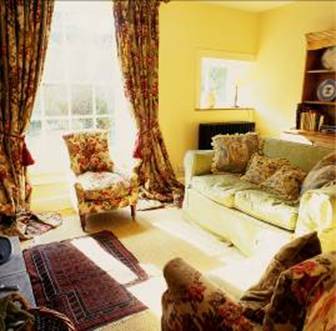 On the ground floor there is a sitting room with a wood burning stove in the Inglenook fireplace, large drop-end settee, two easy chairs, antique pine dresser, digital TV with Freeview, DVD player, stereo with CD player, small table and sea grass rug on the terracotta floor. There is a huge walk-in storage cupboard with plenty of room for coats and boots. We provide an iron, ironing board and a vacuum cleaner. The Jotul wood burner warms this cosy cottage in minutes, making it a welcome space in which to relax. There is a hand painted designer kitchen with beamed ceiling above, electric oven, hob, microwave, dishwasher, fridge with ice box, breadmaker, washing machine with built-in dryer. We provide dishwasher tablets. Crockery is Spode and we provide most things that you will need for cooking and serving food from a salad spinner to a garlic press. 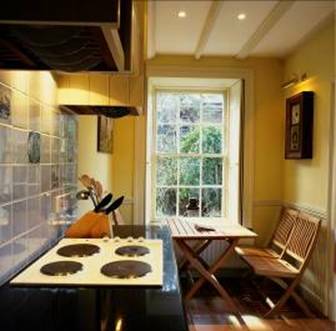 At the end of the kitchen is the dining area which seats four comfortably. The teak table and chairs can be used inside or taken out to the paved area. An open plan winding staircase leads from the kitchen to the first floor, which has stripped floorboards. 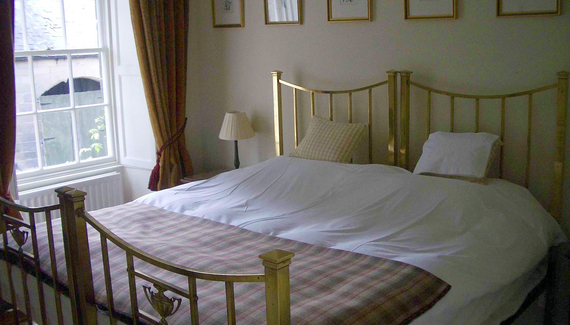 Bedroom 1 has an antique French double bed and an en-suite bathroom with Victorian roll top bath. There is a walk-in wardrobe with shelves and there are bedside tables. Pillows and duvets are goose down and the bed linen is crisp white cotton. Two white bath and two hand towels and a foot mat per bathroom are provided. 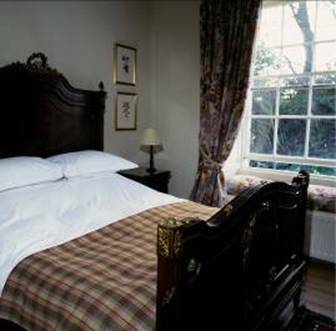 Bedroom 2 has a pair of antique twin beds with mattresses that are now joined together and so this room is offered as a double bedroom. Again there is a walk-in wardrobe and bedside tables. The second bathroom is just across the corridor and has a power shower in a larger than usual shower enclosure, Lefroy Brooks fittings and Fired Earth tiles. 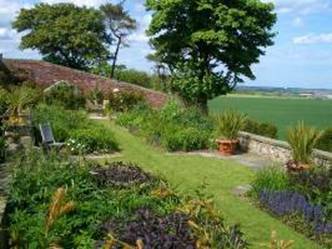 Guests have the use of the terraced gardens to the East of the Hall. 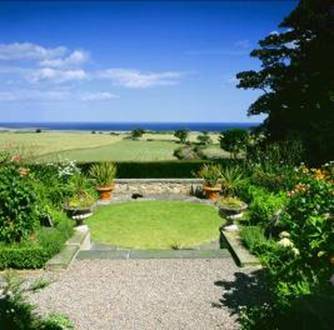 When you pass through the garden gate from the rear courtyard you will see the fields roll down to the National Trust dunes at Buston Links and the sea beyond. You can see Warkworth castle to the south of High Buston. The view to the North East is towards Alnmouth and the River Aln estuary, which is a super place for birdwatching and walking. 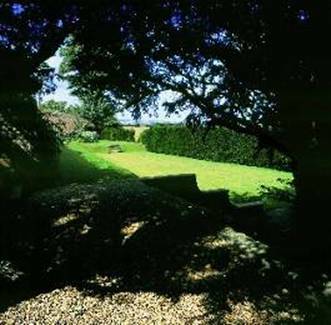 Guests are welcome to use any garden furniture or just sit and take in the views from the low stone walls. The planting in the long borders on the central terrace provides colour and interest from Spring through until Autumn. 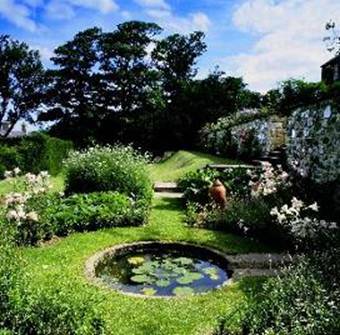 The lower terrace has a parterre which we use as a vegetable garden as well as for cut flowers. 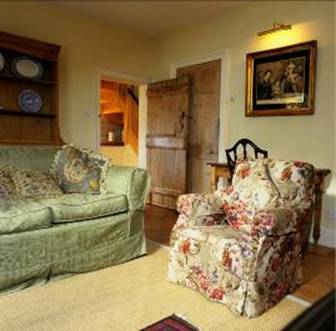 The cottage is ideally situated for the visiting the National Trust properties at Cragside near Rothbury, Wallington Hall near Cambo and Holy Island. There is plenty of good quiet walking locally centred on High Buston or a short drive away. We are 4 miles from Warkworth and 3 miles from Alnmouth, so a circular beach walk is a pleasant option. For the energetic the Cheviot Hills are easily accessible by car. The beaches on the Heritage Coast are clean and on many occasions deserted. The market town of Alnwick is 5 miles away. There you can visit the Alnwick Garden, shop at the farmers market or the excellent butchers and delicatessens. Barter Books, one of the largest second hand bookshops in the country, is located in the old railway station in Alnwick. We are 3 minutes from Alnmouth railway station. There are regular trains to Newcastle, Berwick and Edinburgh. You can contact us initially by e-mail at cottage@highbuston.com if you want any further details. We don’t take bookings by e-mail, we prefer to speak to our clients and take their details and requirements personally. We try to welcome all guests personally and if we can’t, we arrange for some one else to do so. Arrival time is anytime after 4.00pm on Saturday and departure by 10.00am the following Saturday. 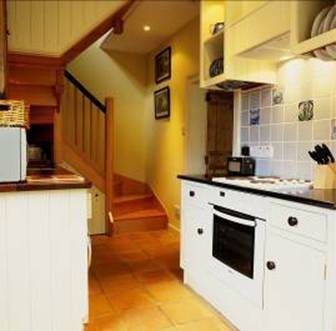 We place great emphasis on cleanliness and it takes us the full six hours to clean the cottage each week. 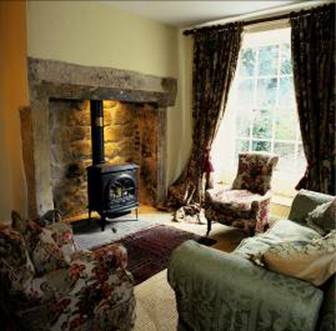 The cottage is suitable for adults and children over 8 years of age. Because of having two full-size bathrooms it is particularly suitable for two adult couples. It is non-smoking. Sorry, but we don’t take dogs. Prices for 2013-14 range for £645 to £695 per week based on two people sharing. If the party is any larger we add a supplement of between £100 to £150 to cover extra wear and tear, cleaning, linen, laundry and fuel. Electricity, logs and kindling for the woodburner are included in the price. We provide oil fired central heating from September until May. There are electric heaters available too. 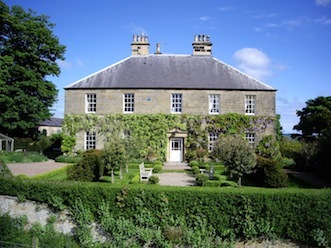 Old Hall Cottage is situated in the west wing of our home, High Buston Hall. It was formerly the old servants’ quarters of the house and retains many original features. Accordingly the floors slope, the staircase is steep and twisting and there is little free circulation space. It is furnished specifically with adults in mind and we don’t take children under 8 years of age. Heating is oil fired central heating. It is accessed via a separate lane from our entrance and is very private. the staircase is made of clear finished timber and winds through 270° to reach the first floor where the bedrooms and bathrooms are located.